Through Mud, Sweat and... More Mud! 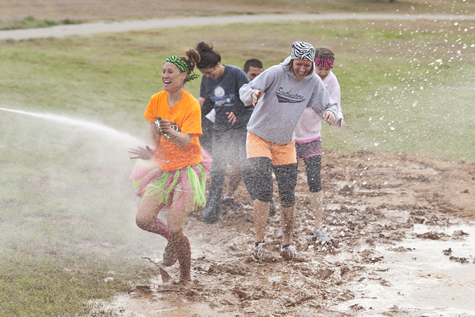 SWOSU students participate in the recent Dirty Dawg Dash at Crowder Lake University Park south of Weatherford. The dash was sponsored by the SWOSU Parks and Recreation Management Club and involved a one-mile, warrior-dash-type race through roads, trails and water. The course included a ropes course and military style obstacles. 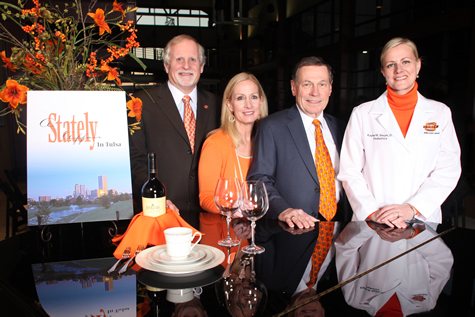 Howard Barnett (left), Janet McGehee, Bryan Close and Dr. Kayse Shrum hosted “A Stately Affair” in Tulsa to raise scholarships for students at OSU-Tulsa and OSU Center for Health Sciences. The Traveling Wall, presented by the American Veterans Traveling Tribute, was on display on the East Central University campus May 2-5. 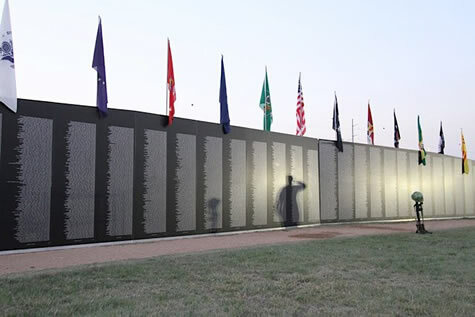 The wall pays tribute to fallen Vietnam Veterans and is an 80 percent scale version of the Vietnam Memorial Wall in Washington, D.C.